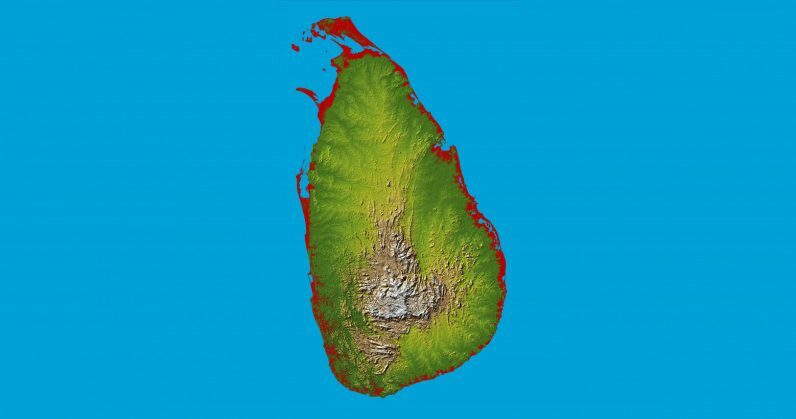 The island nation of Sri Lanka is presently in the grips of communal violence following the alleged murder of a Sinhalese Buddhist by a group of Muslim men in the city of Kandy. The government has now imposed a State of Emergency (SoE) in an effort to curb unrest there, and citizens now find themselves cut off from each other as a number of social networks and messaging services have been blocked nationwide for three days. That includes Facebook, WhatsApp, Viber, and Instagram. Generally, such blockages are intended to prevent the spread of rumors and incendiary posts and comments that may trigger further violence. Meanwhile, it’s being reported that Kandy has been cut off from the internet entirely. However, such measures can make it more difficult for people to stay in touch with their loved ones and avoid danger. And with Sri Lanka facing its first SoE since its civil war nearly a decade ago, the need for robust means of communication for citizens is greater than ever. The situation is similar to what happens often in its neighboring country of India, where there have been more than 70 internet blackouts since 2012. Last April, we reported that the country’s northern state of Jammu & Kashmir saw 22 online services, including social networks, being blocked for a month – affecting some 12.5 million residents in the process. With around 6 million + active internet users around the country, out of which approximately around 4.5 million are users of Facebook , it can no longer be denied that internet-based platforms are used widely in Sri Lanka, by many diverse people. Online spaces have proven especially important for women, ethnic and sexual minorities and other historically marginalized groups, in exercising their right to freedom of expression. The adverse repercussions of an internet shut-down far outweigh the gains. There is no evidence to show that internet shut-downs help to prevent acts of communal violence before or while they are happening. Instead, internet shut-downs serve to disconnect citizens from journalists and other bearers of important information, as well as from each other, which can have disastrous consequences for public safety in times of crisis. obscures, if not erases the narratives of victims of violence, and restricts our capability to bear witness to the injustices being enacted against fellow citizens. Journalists aren’t able to relay their stories from people on the ground, which means that it’s hard to report what’s going on and keep people informed. Furthermore, blocking services only pushes hate groups, as well as those spreading rumors and inciting violence, to promote the use of VPNs and other tools to circumvent such measures. It’s a knee-jerk reaction to a difficult scenario, with people in power taking calls without understanding the role of social media in society. In addition, those of us who champion open networks are being labeled as terrorist sympathizers, as people who want to sow the seeds for further violence – when that’s clearly not the case. Meanwhile, rumors continue to spread through the channels that politicians seek to block. While the situation is Kandy is said to be improving steadily, it remains to be seen if the blackout proves useful or problematic in maintaining safety in Sri Lanka. We’ll update this post as we learn more.